There seems to be a recent trend of having robotic assistants in the home, and while the Amazon Echo and Google Home offer conveniences for users, they lack an emotional impact that a more traditional robot solution does. The answer to this comes in the form of Kuri, a device created by Mayfield Robotics that was one of the most popular robots to be shown at CES 2017. Kuri is designed to help you around the house, but not in the way Amazon and Google are doing it. Instead this little robot, that measures up at 50 centimetres tall, is crammed full of technology to help differentiate itself from the less adorable house helpers on the market. Loudspeakers, microphones, a camera and sensors are just some of the technologies Kuri has inside itself. All of these technologies culminate to create a robot that can be useful in a ton of different situations — the robot can alert parents if their children have made it home from school and the camera can be used in conjunction with the Kuri smartphone application to allow users a glimpse inside their home when they’re away. This is the cutest mobile home camera on the market. Kuri acts as your shadow, following you around the house, learning the interior of your home to make note of the quickest routes around it. The robot has been designed to do more emotional tasks like read your children bedtime stories through audiobooks or play you a podcast while you get ready for work in the morning. The robot doesn't speak English and instead shows emotion through its eyes, movement of its head and bleep bloop language. 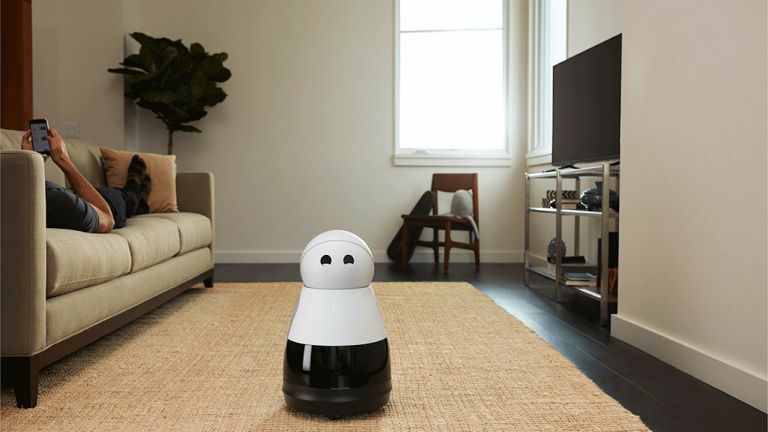 Kuri is a robot that moves around your home, isn't a vacuum and on paper seems to have all the cute boxes checked off with a few practical ones too. The device isn't going to be able to do calculations for you or search the web, but for every task it can't do, it’s got an adorable one in compensation. Kuri is currently available for pre-order and will retail for $699 (£575). You’ll be able to have this little robot following you around when it releases at the end of 2017. Read more: Key themes of CES 2017: what do they tell us about the year in tech?